Hello! I’m Marcos Ortega, DDS, of Marcos Ortega DDS in San Diego. Thanks for visiting my dental blog. The topic of today’s post is malocclusion – literally – “bad bite”. There are many causes of malocclusion – some originating with the teeth and some originating with the jaw. Misshapen teeth, extracted teeth, impacted teeth, crowded teeth, and widely spaced teeth can affect the bite. Injury to the jaw can also cause malocclusion as well as improperly fitting restorations and other dental appliances. The treatment for malocclusion depends on the cause. Orthodontics can move teeth into alignment to fix bite issues. Overcrowding often requires extraction of one or more teeth. 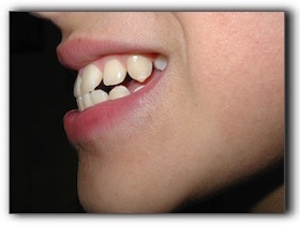 Misshapen teeth that affect the bite can often be fixed with crowns or dental bonding. If your jaw hurts or you see unusual wear to your teeth, it is essential that you are examined by a professional. Call 619-295-4545 to schedule an appointment with Dr. Marcos Ortega. Our friendly dental team has been serving patients at our comfortable San Diego office since 1986. We can give you more details about malocclusion, dental crowns, dental implants, or teeth whitening. Dr. Ortega also advises San Diego parents about critical issues such as tooth development, thumb-sucking, water fluoridation, dental sealants, oral sports protection, and orthodontia. If you suspect that your child has any degree of malocclusion, schedule an exam ASAP. Untreated bite troubles in <~URVChildren> can inhibit proper nutrition, breathing, tooth development, and speech development. Take Care Of Your Toothbrush!